Acetate Chemical is an organic compound commonly used as a solvent in the production of lacquers and other products. 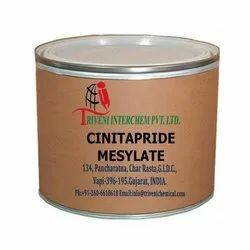 Cinitapride Mesylate is powder. it is use in Gastric-prokinetic Industry. Storage: Keep container tightly closed. Keep container in a cool, well-ventilated area. Waste Disposal: Waste must be disposed of in accordance with federal, state and local environmental control regulations. Looking for Gastric-Prokinetic API ?